SYDNEY (AP) Two drivers from Down Under – thousands of miles apart and even further from home – unexpectedly found themselves parked together atop the motor racing world after winning the two biggest races in the sport Sunday. Just hours after Daniel Ricciardo won the Monaco Formula One Grand Prix around the narrow streets of Monte Carlo, his countryman Will Power won the Indianapolis 500, becoming the first Australian to win the ”Greatest Spectacle in Racing” and sharing in a unique double. Only two other countries – Britain (1965, 1966) and Brazil (1989, 1993) – had provided the winning driver at Monaco and Indianapolis Motor Speedway in the same year, but Australia became the first nation to win both races on the same day. ”A little reminder for the Australian press….please feel free to load front and back pages with motorsport related success stories from Indianapolis and Monte Carlo,” tweeted Mark Webber, who won at Monaco in 2010 and 2012. 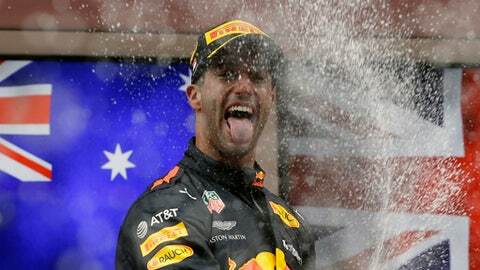 Webber need not have bothered with his cheeky prod as Australia’s media immediately went into overdrive, extolling the feats of Ricciardo and Power with a stream of television and radio broadcasts at a time when local football codes and cricket normally dominate the country’s sporting news cycle. As the only Australian driver in Formula One at present, Ricciardo is already a household name in his homeland, partly because of his previous successes but more so because of Australia’s long and proud tradition in Formula One. Australia has already had two world champions, Jack Brabham (1959, 1960 and 1966) and Alan Jones (1980), and hosts the first Grand Prix of the season while Ricciardo, 28, had won seven races before his maiden victory at Monaco and finished third in the championship in 2014 and 2016. Winning at Monaco will elevate him to a whole new level of fame. Power, 37, has had even more success but received much less recognition because the Gold Coast Indy race that was held for nearly 20 years was dropped from the circuit in 2009, preventing Power from racing before his home fans. His hometown of Toowoomba in Queensland state was only a two-hour drive from the Gold Coast track. Power was crowned the 2014 IndyCar Series champion and has won 34 races in his career but is better known in North America. He hopes that will change after the biggest victory of his career. They may drive in different series’ but there are still plenty of similarities between Ricciardo and Power, as demonstrated by their euphoric, albeit unorthodox victory celebrations. With members of the Monaco royal family watching on, Riccciardo filled one of his sweaty race boots with champagne and drank it all up. Then later, still wearing his racing overalls, he dived head-first into a rooftop swimming pool at a team celebration. Not to be outdone, Power celebrated his long-awaited victory at The Brickyard by screaming expletives into his team radio. Then when he got to Victory Lane and, in keeping with the race’s tradition, was handed a bottle of milk to guzzle, he took a sip then poured the rest over his head and his crew.